For many families, mealtime is about spending quality time together. But at Hunter’s house, mealtime was a constant source of stress. Hunter didn’t just have trouble trying new foods – he could barely stand to be in the same room with them. Touching, smelling or even looking at a food he didn’t like made him run away or melt down at the table. Angie, his mom, tried to find therapy to help him expand his list of tolerable foods, but no tactic seemed to work. Therapists either encouraged Hunter to wear a nose plug which made him dread trying new foods, or they would push him to keep trying until he got frustrated and no longer wanted to cooperate. Angie’s friend knew how frustrated she and Hunter were, and suggested they try ChildServe’s Feeding Clinic. 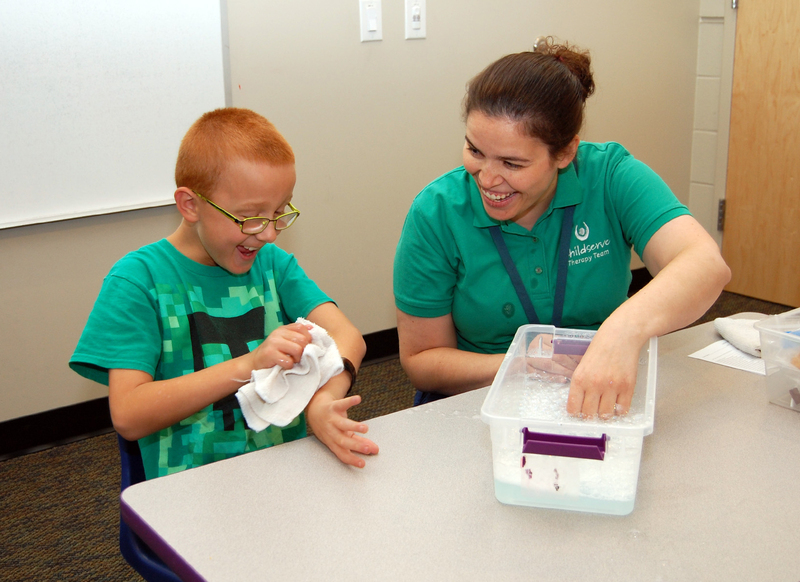 When Angie and Hunter met Christine Weiland, an occupational therapist at ChildServe, they knew right away that things were going to be different. Christine says that Hunter has become much more comfortable, even enthusiastic, during his feeding therapy sessions. His list of new foods is growing, and he’ll even touch and taste the ones he doesn’t like. 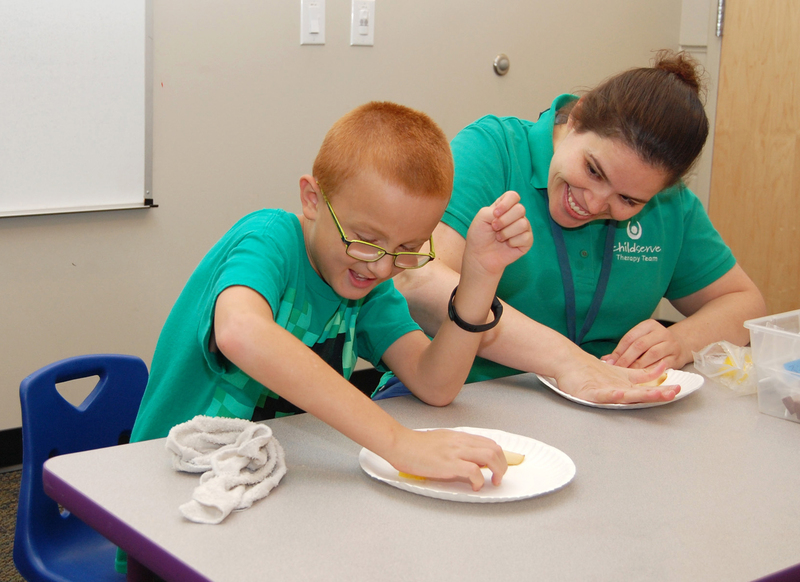 Angie said one of her favorite parts about the Feeding Clinic at ChildServe is that Christine is focused on getting Hunter to try healthy foods. Hunter’s goals for the future include adding more protein to his diet and making his list of tolerable foods even longer. Since Hunter started feeding therapy, not only has he decided he likes more foods but he loves going to the grocery store with Angie to pick out new things to try, something that he never wanted to do before.